Suede is one of the trickiest materials to clean because it has a natural nap that can be damaged easily be harsh chemicals or even water. 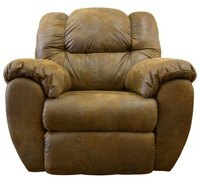 While most homeowners opt for fake suede furniture, genuine suede couches offer warmth and a rustic style that cannot be matched by fake leather. Despite its fickleness, you can remove a wide variety of stains from suede successfully if you invest the proper time and care. Use the back of a plastic spoon to scrape away as much of the stain as possible. Be careful not to spread the stain or rub it in during this process. If the stain is still visible, rub an art gum eraser over the stain. This will remove the top few layers of the suede so use care to only rub the stain and not the surrounding leather. If the stain is still visible, rub a nail file or fine sandpaper over the stain. Do not rub too vigorously as this can make a hole in the suede fabric. Use a suede brush to brush the entire couch cover. This will restore the nap of the couch and will help blend the areas you spot cleaned. Vigorously mix one cup water with several drops of mild detergent until a large amount of suds form. Use a dry and clean cloth to apply only the suds to the stained suede. Blot the stain until it is removed. You may need to use different cloths as the stain transfers to the cloth. When the stain is gone, use a clean and dry cloth to blot the entire area. This will ensure that no suds residue is left. Brush the entire couch cover with a suede brush to restore the nap and remove any dust or dirt particles that have settled in it. Contact a professional if the steps above do not remove your stain. Clean a stain as soon as you notice it on your couch. Always test each step on a small and inconspicuous area of the couch cover to ensure that it will not damage your couch. Never use harsh chemicals or leather cleaner that is not specifically designed to clean suede.